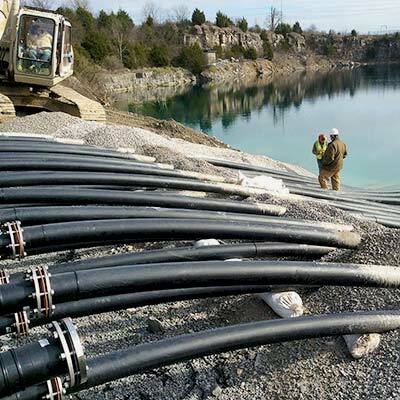 The Metropolitan Nashville Airport Authority (MNAA) recently had a “turning of the valve” ceremony to mark the opening of its new geothermal cooling system, which will save Nashville International Airport an estimated $430,000 a year in cooling costs. An abandoned rock quarry near the airport is filled with water that maintains a year-round 50-degree temperature. Not long ago, the airport considered filling the pit in, but the now that pit is at the heart of the system’s functionality. 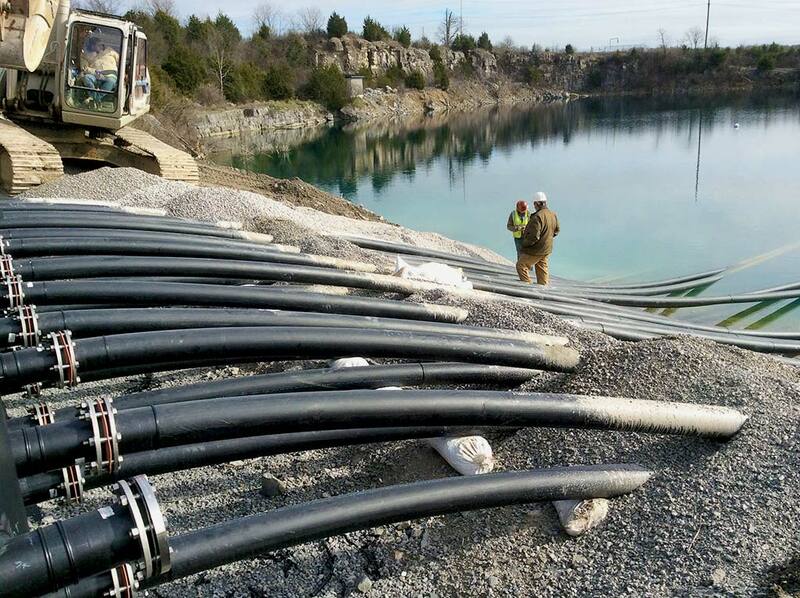 The system pumps hot water to heat exchangers submerged 50 feet below the reservoir’s surface, which is cooled by the reservoir before making its way back to the airport’s cooling plant. Garver’s work on this project began nearly six years prior to the actual design-build team selection when we were asked to analyze potential routes for the pipeline corridor from the quarry lake to the terminal building’s central plant. When funding became available, Garver partnered with Blakely Construction Services and was selected as a design-build team to construct the project, the largest of its kind in North America. MNAA has made sustainability a priority in its planning process and is one of a dozen airport participants in the FAA’s Sustainable Master Plan Pilot program. The airport authority recently won a Governor’s Environmental Stewardship Award for its sustainability efforts from the Tennessee Department of Environment and Conservation, and also a 2016 Environmental Achievement Award in the Special/Innovative Projects Award category from the Airports Council International-North America for the geothermal lake plate project. Discover what Garver's Aviation Team can do for you by visiting GarverUSA.com.